A state government-appointed TDR panel headed by Dr A Ravindra released its recommendations last month asking the government to re-look at the Transfer of Developmental Rights (TDR) policy and proposed solutions. There is no formal response from the government yet. For the past few years, roadwidening of adhoc offerings of TDR has caused anguish to many a Bangalorean. It also resulted in the formation of Bengaluru’s Ring Road Property Owners Association (RRPOA). The association has opposed roadwidening of the outer ring road in south Bangalore and BBMP subsequently put the project on hold. In the meantime, this and many other projects got stranded in the High Court in a case over violation of tender rules. That gave a much-needed breather for worried residents who have stoutly refused to accept TDR. Even as most roadwidening projects are thus stuck at the court, BBMP has started fresh road widening projects in north Bangalore, again offering TDR as compensation. "We wake up one morning and find these red markings on the walls of our premises saying 1.3 mtrs, 1.7 mtrs, 2 mtrs, etc. We do not know what is happening. Only later, through our friends and neighbours, it becomes clear to us that these red markings are indicative of the proposed width for road widening and that our properties have been marked for acquisition," explained one of the residents protesting against the proposed road widening at Banaswadi on 28th November 2010. Expectedly, residents are unhappy over this and are protesting. For the past few weeks, the issue of TDR has been in the news as elected representatives and citizen groups are increasingly questioning the applicability of TDR for Bangalore. As noted earlier, the Ravindra-led panel released its recommendations in November asking for a re-look at the TDR policy itself and proposed solutions. Ravindra, advisor to Chief Minister for Urban Affairs, also recently announced that TDR is optional and that BBMP cannot force people to accept TDR. The concept of TDR de-links development rights from the physical property and allows recipients to either use TDR on other land parcels that they own or trade these development rights with other individuals or builders who may require it to build extra units. TDR allows for what is known as vertical growth because you can use the development rights despite existing floor space restrictions and build extra units. However, you cannot violate the building codes and the existing zonal restrictions when you use TDR i.e., you cannot build in excess of the floor space restrictions that have been laid down for each zone in the city. Despite this, a great deal of confusion continues to prevail among citizens whether TDR allows you to legalise existing illegal constructions or building code violations. 1) Existing zonal restrictions be reviewed thoroughly and that FAR be reduced in order to increase the demand for development rights. 2) BBMP use the instrument of bridge finance and buy back the TDR that it issues. Bridge finance is being recommended because the palike is cash strapped and cannot buy back the TDR on its own. 3) The TDR committee recognises and endorses citizens’ views that there must be alternatives to road widening such as putting grade separators, improving public transportation, among others. The recommendations however have failed to address what becomes of tenants who are living on properties that are acquired for road widening. The Ravindra-panel’s recommendations have come at a time when the implementation of TDR in Bangalore is still very uncertain. Questions still abound about whether you can use TDR to legalise illegal constructions or building violations. The ambiguity and the relative newness of the policy is what is causing uncertainties. 1. 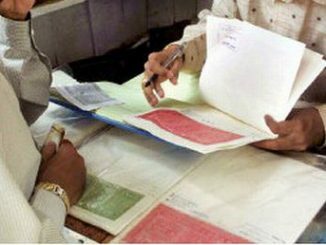 It is unclear whether citizens have to pay a tax and undergo some kind of registration process for the TDR they have been awarded. 2. There is lack of clarity about the monetary/price value of the TDRs. 3. It is not clear whether really a demand for development rights in Bangalore? FAR (Floor Area Ratio) in Bangalore is generally high, almost to the tune of 2.75, unlike cities in Mumbai where the demand for TDR is greater because of the low FAR restrictions of 1 and 1.5. It had been nine years since Nandan and Co had tried and met with limited success. What else can one do? Go to the press? File an RTI application? Or is there something else they can do?